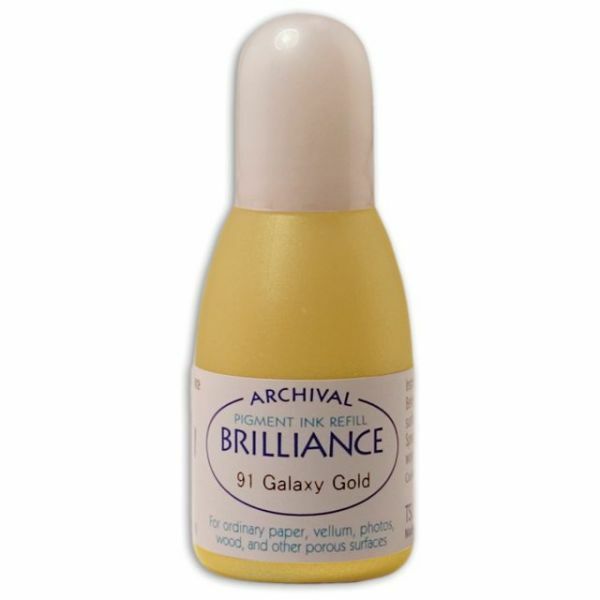 Brilliance Refill .7fl oz - TSUKINEKO-Brilliance Archival Pigment Ink Refill. Excellent for most glossy surfaces including vellum, photos, and coated papers. 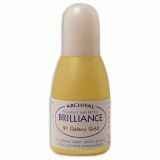 Brilliance is also perfect for stamping on or applying to ordinary paper, tissue, wood, and other porous surfaces. This package contains one 0.7 fl. ounce bottle of ink. Available in a variety of colors: each sold separately. Conforms to ASTM D4236 and F963. Fade- resistant, Non-toxic and acid free. Imported.